The ultimate Chanukah gift--a glorious celebration of the true spirit of the holiday from a pop-up master and an acclaimed poet. Open this beautiful gift book and follow the Festival of Lights through place and time--from Herod's temple to a shtetl in Russia; from a refugee ship bound for the New World to an Israeli kibbutz. Inspired by Michael J. Rosen's reverent poem, Robert Sabuda's striking pop-ups depict each night's menorah in a different scene, using such imagery as desert tents, olive trees, and a final panorama of skyscrapers. Sure to be a treasured family heirloom, this stunning collaboration showcases the spirit and resilience of a people in search of home. One crescent moon glows in the sky. 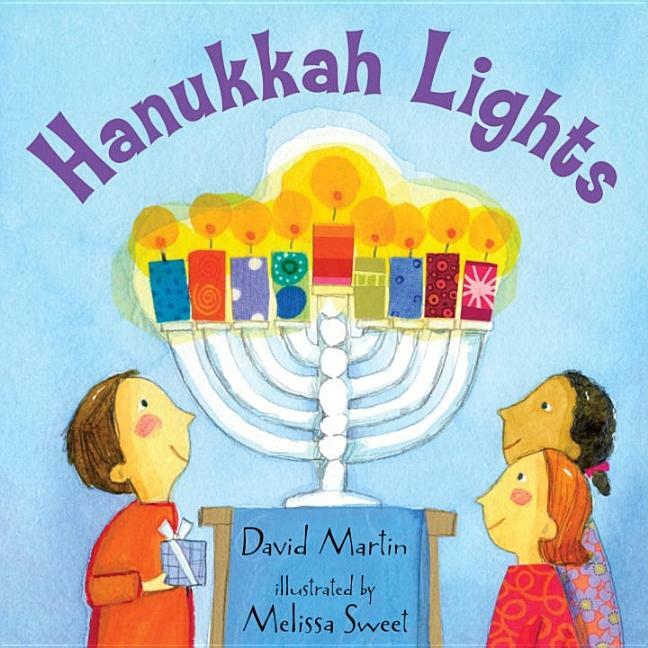 Two headlights shine through the window. . . . On each magical night of Chanukah, a young boy and his sister count more lights shining all around them! Join them as they discover what it means to celebrate Chanukah in a world filled with so many other lights. Notecard printed with soy inks on 60% tree free recycled paper stamped with gold foil. Measures 4.25" x 5.5". Artwork by Yelena Bryksenkova. 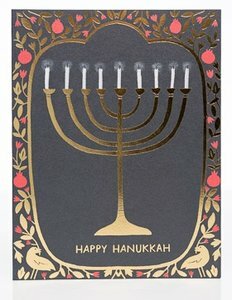 Candles on the menorah, ready to light! 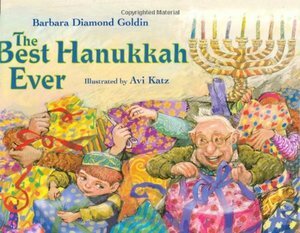 At Hanukkah, there are many much-anticipated rituals--latkes to eat, dreidels to spin, presents to give and receive, and shiny gold treats. Add some free-form fun, from shadow puppetry to singing and dancing, and you have a warm, truly child-friendly celebration. A traveler rids a village synagogue of ghosts. A Caldecott Honor Book. Young Steve Satlow is thrilled when his hero Jackie Robinson moves onto his block. After the famed second baseman invites Steve to a Dodgers game, the two become friends. So when Jackie hears that the Satlows don't have a Christmas tree, he decides to give them one, not realizing the Satlows are Jewish. 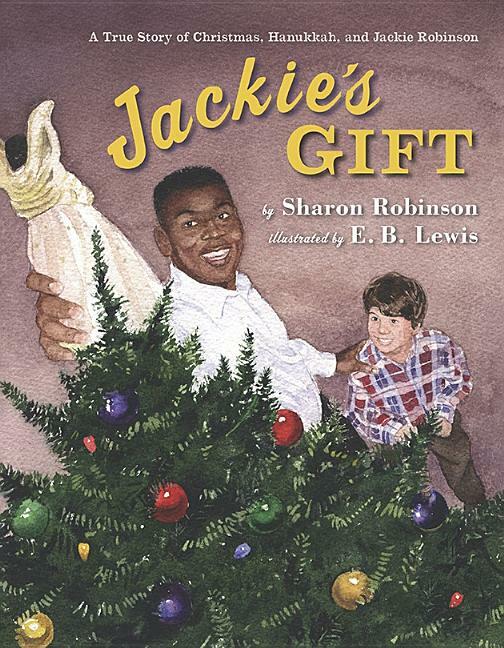 But Jackie's gift helps these two different families discover how much they have in common. Written by the daughter of baseball legend Jackie Robinson and illustrated by a Caldecott Honor winner, "Jackie's Gift" is a holiday tale-based on a true story-about friendship and breaking barriers. 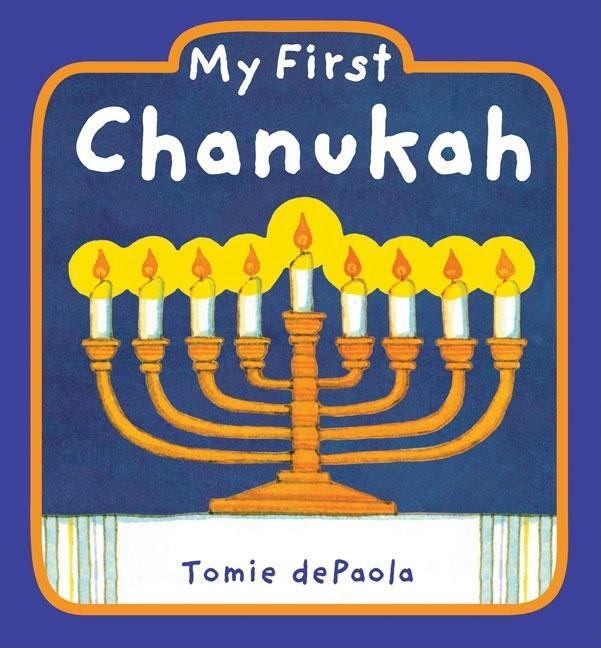 In My First Chanukah, Tomie dePaola's gentle text and understated artwork provide insight and background into the holiday for young readers. Eye-catching foil lights up the cover! Incorporating the popular music of 12 Days of Christmas into a Chanukah book, this is perfect for children of any religious orientation. 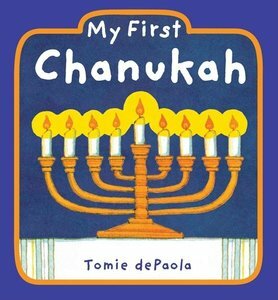 On the first night of Chanukah... begins the familiar tune in a book that sees the wondrous days of Chanukah through the eyes of young child. The child's family grows bigger and bigger as the holiday gets closer and closer. Each night, one new item or person is added to the celebration-and there is always a present for every child in the room! The accumulating text makes this book fun to read (and sing!) aloud while the bright and cheerful illustrations allow a young reader to count each object added. 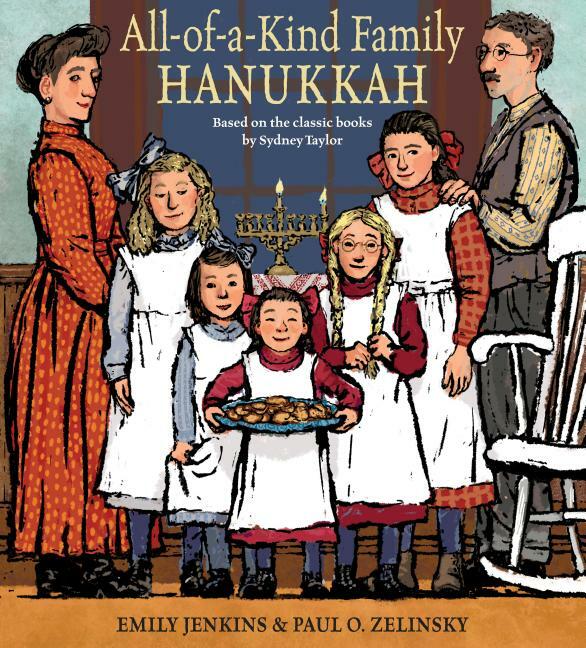 Educational and a joy for adults and children, The Eight Nights of Chanukah is a wonderful book for the whole family to share. 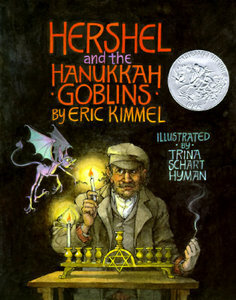 Latkes are potato pancakes served at Hanukkah, and Lemony Snicket is an alleged children s author. For the first time in literary history, these two elements are combined in one book. 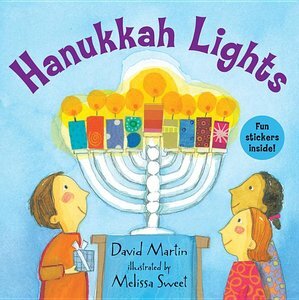 A particularly irate latke is the star of The Latke Who Couldn t Stop Screaming, but many other holiday icons appear and even speak: flashing colored lights, cane-shaped candy, a pine tree. Santa Claus is briefly discussed as well. The ending is happy, at least for some. 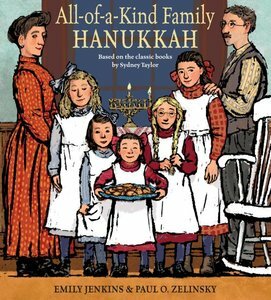 People who are interested in any or all of these things will find this book so enjoyable it will feel as though Hanukkah were being celebrated for several years, rather than eight nights."